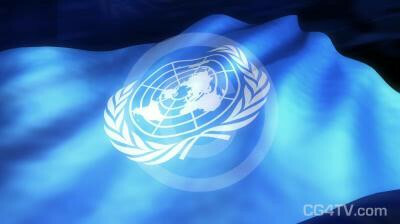 Royalty free UN flag looping 3D Animation. Available in HDTV (1920 x 1080) resolution, standard NTSC and PAL, and web optimized resolution. EXCLUSIVE product. UN Flag Animated Background is only available from CG4TV.com. We don't have resellers or representatives. This product that can not be purchased elsewhere. The United Nations Flag proudly flies as a globally recognized symbol of the UN. Don't Forget! All of our stock animated backgrounds are royalty-free so you'll enjoy substantial savings over a custom background. We're constantly adding to our stock animated background collection, so you're sure to find just the right one for all of your projects. In addition to incredible savings, every one of these animated backgrounds is available for immediate download. CG4TV.com is your virtual art gallery. 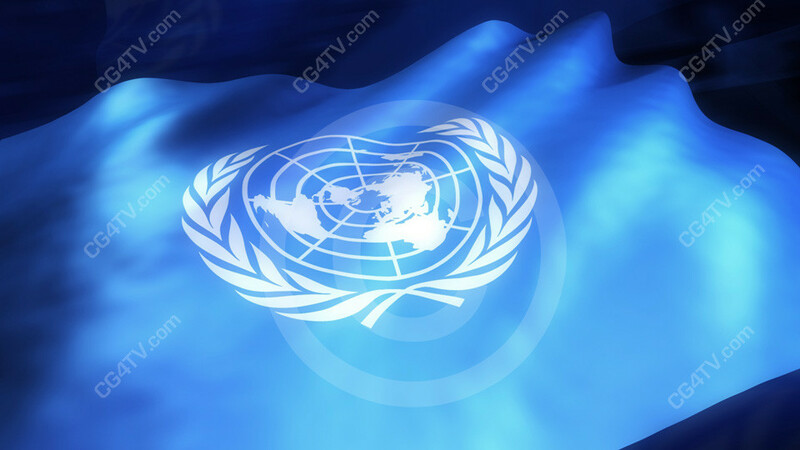 Order your United Nations Flag Animated Background now. Download it instantly with just a few simple clicks of your mouse!